Lotsa Rain At The Off Grid Passive Solar Prefab House And More Alpha Gal High Histamine Mast Cell Notes. With Bocce Playin' Chicken. Oh man. Boy DID IT RAIN at the off grid passive solar prefab house! In between waves of downpour I ran out to do farm chores, and got back in to the safety and warmth of the SIP house just in time. back in to the prefab house in time! "Y'all! Get in the prefab! Can't you SEE the rain's about to hit?" "But we haz a stick!" After the rains, at dusk, it was so beautiful to hear the tree frogs sing. 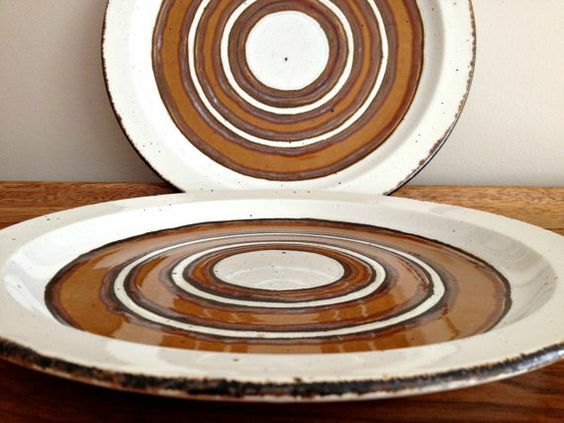 With all the rain, it was a great day to pull out china and utensils and barware out of drawers and hutches, wipe everything down, and rethink them. from moving into the prefab house while under construction! A day of rain is a great way to quietly recharge while getting indoors organized. Plus the cistern is now full! The sun finally came out, so we dragged out the lawn mowers. 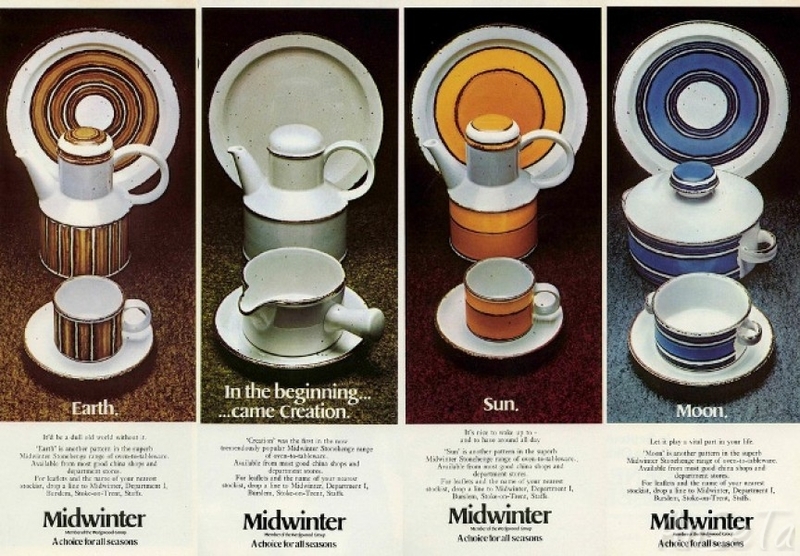 "Under Roy Midwinter, the firm of W. R. Midwinter Ltd led British ceramic design in the 1950 and 1960s with new, modern shapes that, although radical, were a tremendous success in the marketplace." The firm merged with Wedgewood, and launched modern designs that felt hand thrown. "...The thick-walled ‘chunky’ shapes, studio pottery finishes, and vivid decoration were as new and radical as any of Midwinter’s earlier triumphs, and again it proved to be a design success. ... ‘Sun’, ‘Moon’ and ‘Earth’, now regarded as perhaps the most iconic Stonehenge patterns were released in March 1973." With alpha gal, we are in the subset of categories where it is tied into a host of other issues, all often contradicting each other. Our Pip is alpha gal, high histamine intolerant with tendencies towards reactions of those with mast cell issues, with an extremely inflamed intestine, and reflux. Food you would usually run to in order to provide nutrition because you no longer can eat dairy or mammal due to alpha gal are often high in histamine. So no fermented foods to heal your gut, no spinach, and most beans / fruits / nuts don't work. Even within the high histamine intolerance food lists, we found her reactions were more close to mast cell sufferers- so things that were ok on histamine lists, like potatoes she reacted to, mirroring more the mast cell issues. When we were finally are able to add in some coconut oil / olive oil / palm oil which is low in histamines, provides flavor and nutrients, and is also anti-inflammatory to help heal her swollen joints and stomach, they then aggravate her reflux. she now wears around animals. FYI I am finding lots of ties to mast cell activation and alpha gal. "I might also mention parenthetically that I did not see that you obtained an analysis for the 816V mutation in kit. If this has not been done, I would obtain this test because patients with mastocytosis who are negative for 816V have been shown to respond to tyrosine-kinase inhibitors. It is therefore an important test to obtain. There is a reasonably sensitive blood test that can be obtained if you did not obtain this test on the bone marrow biopsy." An alpha gal story: Lessons learned from connecting the dots. "Evidence that basophils and mast cells have receptors for LDL was reported many years ago 36, 37. We postulate that the likely explanation for this enigmatic finding is that, although VLDL or LDL can cause basophils to upregulate CD63, the quantity of histamine released in non-allergic controls is not sufficient to cause symptoms. The implication is that LDL particles with alpha-gal on the surface can cause mast cell mediator release, but only in individuals with IgE Ab to alpha-gal." With alpha gal subsets of issues, stomach, joint, and reflux issues are common. Tailor your food for alpha gal, then histamine, then heal reflux and intestines- for example, instead of having "golden milk"- tumeric, coconut milk, ginger warm before bed, which is anti-inflammatory and helps swollen joints, we made cauliflower ginger tumeric "curry" for dinner with rice cakes. Settled her stomach without the fat in the coconut aggravating reflux as it had time to process / less concentration. Even without food triggers, you can react. Saturday, Lil' Miss Alpha Gal and I went to the annual spring Amish Auction, where we saw tons of friends... it's a highlight of spring! For the Amish, this spring auction is kind of like homecoming- families travel across states to visit family whom have settled here, enjoying the day but also helping out with the auction. There are fleets of buggies and pickup trucks for miles! Everyone is in a good mood. And the Amish auctioneers are hilarious... but loud. As we waited with friends watching the furniture auction, the cries and drama of the Amish auctioneers during bidding triggered the Alpha Gal Girl's high histamine intolerance. She began to react, and her resulting anxiety only furthered the trigger... until her histamine bucket was full. For the rest of the weekend, *anything* set her off- she just no more room in her body for more histamine. Earlier in the week we did have some successes. Watch out world, we're going buck wild in the food allergy department! Today's alpha-gal high histamine mast cell issues / inflammation breakfast for our little Alpha Gal Girl: rice cake (reintroduced a month ago) topped with almond butter (reintroduced 6 weeks ago) sprinkled with sea salt (successful as of yesterday) and coconut (reintroduced a week ago). Good enough for ANYONE to eat! Alpha Gal Girl has good moments, not great moments. Even after her high histamine weekend, she recovered her spirit enough to drag out the bocce set. The chickens started the bocce game without us. Rude! I guess they didn't realize this is an INVITATION ONLY event. After all this rain and alpha gal-ness, it was great to end the week with an outdoor evening of fun.